The Inland Empire is dead last when it comes to the value of its economic output, according to a recent study by the Bureau of Economic Analysis (BEA). The I.E. was the only metropolitan region in the U.S. with a population greater than one million to produce less than $30,000 of economic output per capita in 2012. Last year the I.E. produced less than one third of the economic value generated by Silicon Valley. boast a population with high academic achievement. Unfortunately, the I.E. lacks all of these qualities. A scant 19% of individuals over the age of 25 hold a bachelor’s degree. In its heyday, agriculture was the region’s primary economic driver. Today there is no one clear industry in which it specializes. Instead, the region’s economic growth rests on its ability to provide cheap real estate, both in the form of single-family residences (SFRs) and industrial/office space leases. 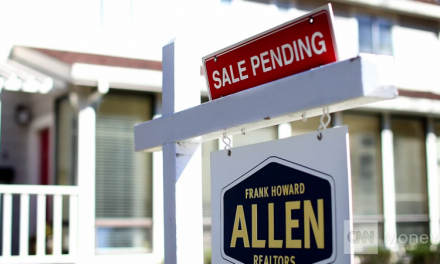 Alongside the bargain real estate comes a bargain-priced labor force as well. This news comes as no surprise. However, it does provide an insight for those interested in the economic history and future of the I.E. Although it’s true the region has neither a cash cow industry (such as oil in Texas or mining in South Dakota) nor a cutting edge technological sector, it does indeed have a brand. The I.E.’s brand is premised on one simple historical fact of the region: cheap and abundant real estate. This is why Riverside and San Bernardino counties are equally and paradoxically known as both bedroom communities and industrial manufacturing meccas. 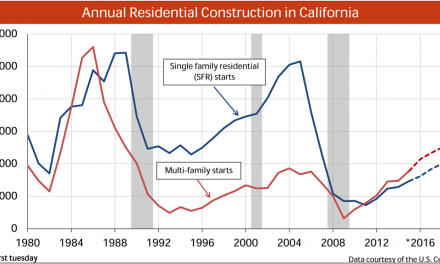 Single-family real estate is cheap, placing the American Dream within reach of the stagnant wages of California’s middle class. The supply of industrial facilities and office space abound, providing an inexpensive haven for business leaders whose success does not depend on the educational level or the purchasing power of the local labor force. And so goes the vicious cycle of I.E. economics. Ironically, its economy is propped-up by its shortcomings. This leads back to one of the all-time great misunderstandings about the place of real estate in the economy’s order of operations. Real estate development, home sales volume and mean price fluctuations are all fundamentally economic indicators, not drivers. 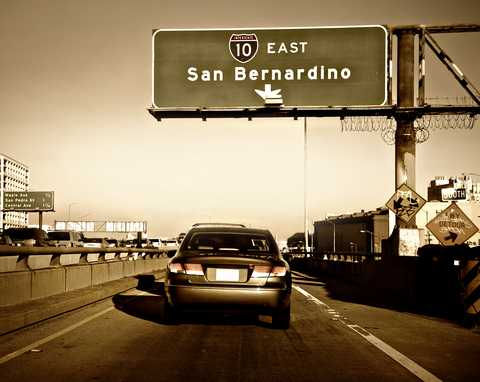 Thus California’s Inland Empire remains ancillary to California’s greater economic growth. It is proving to be a valuable example, however, for what happens when a local economy treats the development and sale of real estate as its primary seat of value. It’s a simple equation really: first jobs, then real estate. The I.E. has had it backwards for too long. PreviousIf a borrower meets all terms of a trial modification and the lender does not provide notice of failure to qualify, must the lender grant the modification? NextIs mobilehome park management exempt from their own no-rental policy?